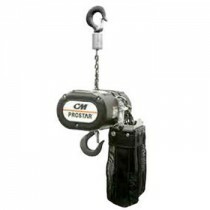 As suspending loads over people are a common practice in the entertainment industry, it entails great precaution and requires premium quality hoists. Keble’s Trading markets an extensive range of prime-grade entertainment hoists from electric hoist to entertainment clamps that are essential in completing an entertainment industry project successfully. 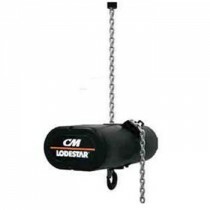 We offer a true industry leader - CM Lodestar Electric Hoist in a capacity range of 500kg to 2tonne that are unsurpassed in reliability; and the lightweight and portable CM Prostar electric hoist that are designed and built for the unique rigging applications for small venues that are available in 250kg capacity. All our entertainment hoists are sourced from reputable manufacturers that comply with Australian standard AS1418.2 giving you that confidence in your entertainment venue application. 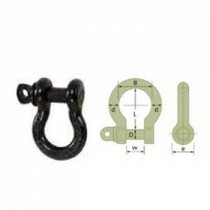 We also supply essential associated entertainment products such as entertainment clamps that have a capacity of 1 ton and are ideal for use with CM Lodestars and Prostars; and entertainment shackles that are effective way of connecting chain, wire rope, or rigging equipment. Turn to Keble’s Trading for reliable-grade ENTERTAINMENT HOISTS. Talk to us! We speak your language! We understand your business. Call us at 1-800-067-687 or fill out the contact us form below. No inquiry is too large or too small. We would love to be of service to you today!